Pakistan’s jailed former Prime Minister Nawaz Sharif requires “aggressive medication” to avoid cardiac complications, a media report said on Wednesday citing his medical reports. 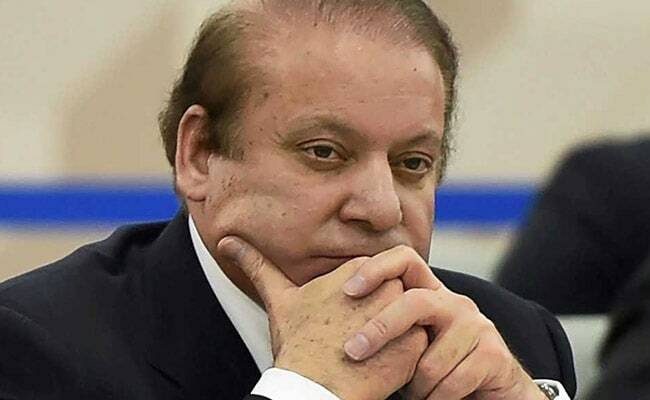 Nawaz Sharif, who is serving a seven-year sentence in a Lahore jail, was rushed to a hospital on Tuesday after he complained of heart related complications. Nawaz Sharif, 69, was taken to the Punjab Institute of Cardiology (PIC) Lahore from Kot Lakhpat Jail in high security. “According to Mr Sharif’s medical tests (conducted on Tuesday), his condition is not serious. But, he needs aggressive medication and regular medical follow-ups to avoid cardiac complications,” a senior doctor told Dawn. He said Nawaz Sharif’s angiography might be conducted. However, Nawaz Sharif’s cardiologist Adnan Khan termed his condition as “very serious” and said he should be shifted to hospital without any delay. “Nawaz Sharif’s treatment at jail is not possible because of his heart complications. He should be shifted to hospital forthwith so that he is properly taken care of,” Dr Khan said. “Even a special medical board that earlier examined Mr Sharif had suggested shifting him to hospital for treatment but the government did not heed to the suggestion,” he said. Nawaz Sharif’s stress thalium test — a nuclear imaging test that shows how well blood flows into one’s heart — suggests “post stress LV pump/contraction 56 per cent which is almost normal”, the report said. Nawaz Sharif’s brother Shahbaz Sharif asked the government to provide best healthcare facilities to the three-time prime minister. A special medical board that examined Nawaz Sharif in jail last week observed “he is not completely well” as more investigations (tests) are required before suggesting treatment for him. Nawaz Sharif underwent Coronary Angioplasty (PCI) twice in 2001 and 2017. He also had open heart surgery twice in 2011 and 2016 (no medical record/documents are available for these above said procedures at the time of examination), it says. He was shifted to the Kot Lakhpat jail on December 25, a day after he was sentenced by the accountability court in Islamabad to seven years” imprisonment in the Al-Azizia Steel Mills case.